Are you getting bored of your standard workouts? Perhaps you're a beginner looking for a good place to start. Either way, kick it up a notch with Joe Wicks' intense (but doable) workout DVD. From the man who brought you Lean in 15, expect a rigorous workout that you can feel burn fat! Whatever your level of fitness, there's something on this DVD for you as Joe includes seven levels of High Intensity Interval Training (HIIT) workouts for you to do in the comfort of your own home. HIIT exercises are designed to help you burn the maximum amount of fat in the shortest amount of time, so this DVD is the one for you if you're looking to slim down and tone up. Packed with nearly three hours of content, you also get a warm up and cool down routine included to help you work out safely! 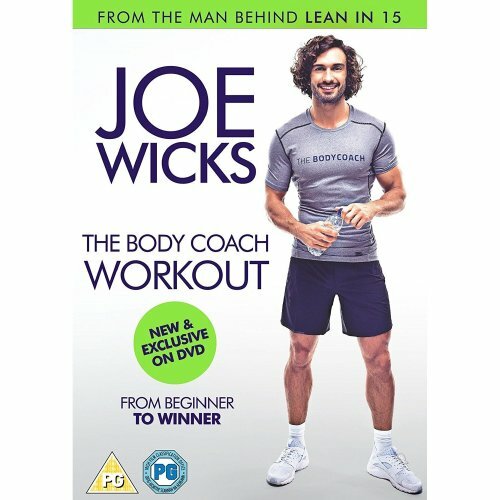 Joe also includes nutritional advice in order to help you make the most of this DVD. The workouts included are 2 x 15 minute workouts, 2 x 20 minute workouts, 2 x 25 minute workouts, and 1 x 30 minute “winners” workout - so you'll have plenty to keep you going!